Namaste and welcome to the Alegría Dharma Center online! Soon, we hope to welcome you here in person to practice mindfulness and meditation, and to study the teachings of the Buddha. In the meantime, please explore our website to learn more about our vision for this beautiful land overlooking mangroves, mountains, and the Pacific coast of Costa Rica. Join us in this noble project to create a centre dedicated to the promotion of a culture of peace, harmony and compassion. Buddha emphasized Sangha as a noble means of living; it is the applied middle path. Today, as we are faced with unsustainable population growth, wars, a global struggle for resources, mass migrations, devastating climate change, and increasing income inequality, it is time to find new modes of living that are more mindful, kinder, and that tread more gently on the planet. Our modern lifestyles in many of today’s societies are so individual-focused.We must be mindful of our impermanence and our interconnectedness with the earth and all living beings. We are not here forever. Thus we should live with an aware heart and share this space with love, joy, and gratitude to the nature that sustains us. And when we depart, we should leave behind a beauty and abundance that others may enjoy in turn. 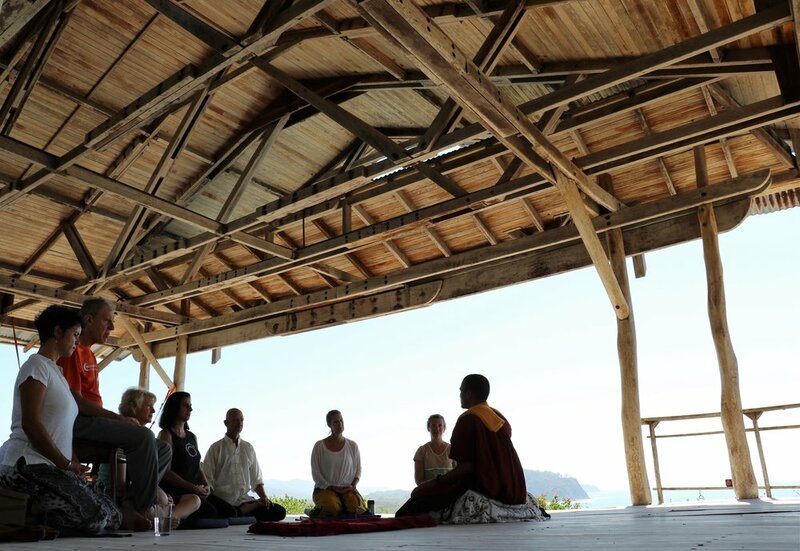 Alegría is an effort to honor the Buddhist principles of Sangha (community), Ahimsa (non-violence), Samma Kammanta (right action), and Samma Ajiva (right livelihood) through the development of a model Dharma community. Alegría welcomes all to contribute, participate, and thrive in living under the five precepts of Buddhism: 1) Abstain from killing living beings, 2) Abstain from taking that which is not given, 3) Abstain from sexual misconduct, 4) Abstain from false speech, 5) Abstain from intoxicating substances that confuse the mind (alcohol and drugs). This is a haven where people of all ages, from youth to retired seniors, can come to find peace, meditate, improve their wellbeing, learn, and then share the benefits and joy of their efforts through community-focused living. David has practiced yoga for over 20 years, and is a regular meditator, a committed vegan, and a dharma follower. He has also been an avid biker for 3 decades! In the year 2000 He biked from Edmonton to Toronto (approximately 3200 Km) to attend the World Vegetarian Congress. David has been the treasurer for the Canadian Engaged Buddhism Association (CEBA) since it’s inception, and participated in the Heavenly Himalayas trip of 2014 to witness first-hand the remarkable progress of projects in Lumbini, the birthplace of Buddha Sakyamuni. David loved Costa Rica in February 2017 and the Alegría Dharma Center, and intends to return very soon. He was impressed by the location of the center and hopes to see the vision come to fruition! Guruma Bodhi is a dedicated humanitarian with a strong passion and history of working on environmental and animal rights causes. She is Venerable Metteyya’s Dharma mother, a Buddhist nun and an environmental scientist with the Canadian federal government. She is a founder, the president and one of the teachers of Canadian Engaged Buddhism Association (CEBA), a small organization seeking ways to apply the insights from meditation practice and Buddha’s teachings to help relieve suffering and injustice, and which also supports the “Metta Family” projects in Lumbini, Nepal. She organizes and co-leads CEBA Buddhist pilgrimages to India and Nepal and also co-founded Peace Grove Nunnery and the Bodhi Institute (Peace Education and Meditation Centre) in Lumbini. ­ Cornelia (Punnya) is a psychologist specializing in the study of brain-behavior relationships. At the Institute of Neurology and Neurosurgery, she incorporates diagnostic testing, brain mapping, and neurofeedback. As the founder of Anatta World Health & Education Outreach, she has organized community-centered medical and educational aid since 2006. Cornelia is a devoted student of Buddhism and has a dedicated insight meditation practice. She completed yoga teacher training at Integral Yoga in NYC in 2001, and graduated from the Community Dharma Leader Program (CDL5) through Spirit Rock/Insight Meditation Society in 2017. Cornelia is co-founder and board member of Newark Center for Meditative Culture (NCMC) in NJ, where she serves as meditation teacher and insight community liaison. Paula is a yoga and meditation teacher who has worked mainly with teens who are in at risk environments and have experienced trauma. In addition to the 200-hour yoga certification, she completed the “Teaching Trauma Sensitive Yoga” program at Kripalu Center in Stockbridge, MA, the Restorative Yoga Teacher Training at Kaia Yoga Center in Westport, CT, and The Lineage Project in NYC. She completed the Spirit Rock Community Dharma Leaders Program in spring of 2017, and in 2018 will complete the 300-hour yoga teacher training. 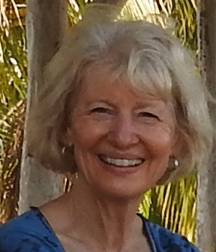 She has deepened her practice by attending numerous mediation retreats at the Insight Meditation Society, the Garrison Institute, Barre Center for Buddhist Studies, Spirit Rock, and other centers. Paula is excited to be a part of the Alegría retreat center in Costa Rica. Margaret's core values are based on personal, community, and planetary health. She considers promoting physical and mental health, meditation, yoga, environmental sustainability, and a whole-food vegan diet as central to her life's mission. Her favourite role is being a grandmother. She has been a psychologist in Edmonton for over 25 years and enjoys hiking, biking, cross country skiing, reading, learning and traveling. She is the secretary for the Canadian Engaged Buddhism Association (CEBA). She very much enjoyed traveling around some of Costa Rica in 2017 and time spent at the Alegría Dharma Centre. Frank and Ellie are our home Sangha in Costa Rica. The vision of Alegría emerges out of their years of hard work and their sincere effort to try and create a spiritual environment for the benefit of the community. 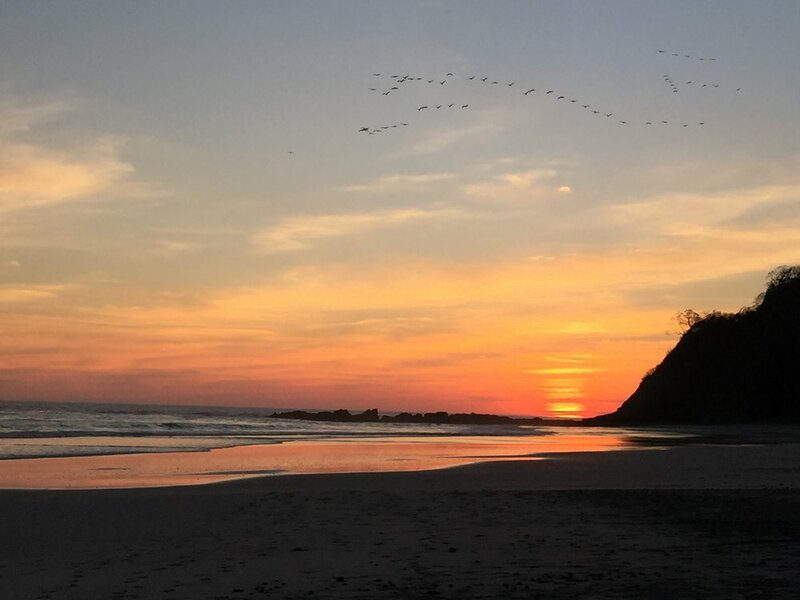 It was through their connection and invitation that we came to Costa Rica to start this visionary center for contemplative culture. Ellie is a school teacher and an artist; and has a great appreciation for cooking and nature. She will contribute to the development of the dharma center by creating sacred Buddhist art. Frank is an autogyro instructor and airplane pilot and both have been students of Buddhism for many years. Frank´s vision for Alegría, since the very first time laid eyes on the property, was to create a temple like those of ancient India. He kept this wish in his heart for many years, waiting for the right time to fulfill it. He now knows that the time has come to make this beautiful dream come true. Oceans, deserts, mountains, jungles - all environments have special energies. Indeed we envision a series of meditation centers around the world that harness the natural forces in these rejuvenating spaces. 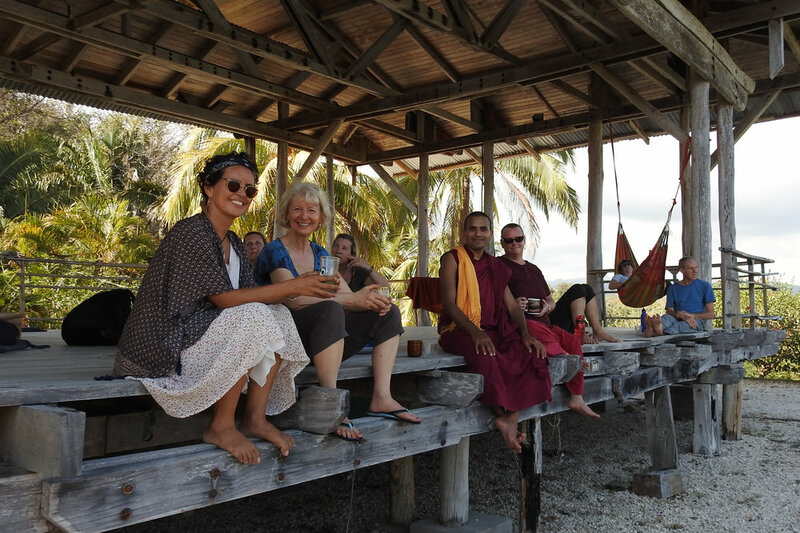 Alegría will be the first of these havens, where you are invited to join our Sangha and delight in the extraordinary beauty of the Pacific Ocean and the surrounding tropical forests and hills of Playa Buena Vista. Alegría is located in the region of Guanacaste, Costa Rica, on the Nicoya Peninsula. The property overlooks the Pacific Ocean and is surrounded by government-protected mangroves and natural wilderness. These delicate but wild ecosystems host thousands of exotic birds and animals, including four species of sea turtles. From our open meditation and yoga platform, you can watch the sunrise year-round, and in the evening you can walk along the curved beach to see the sunset over the water and bordering cliffs. Alegría has breathtaking views and awe-inspiring wildlife. In the morning you’ll awake to the sounds of howler monkeys on the property, and hummingbirds will greet you on our café platform. As you sip your fresh, locally grown coffee you may even catch a glimpse of humpback whales in the distance. During late summer and early fall you can witness baby turtles hatch and begin their great journey to the ocean. The natural beauty of Alegría will bring you nothing short of its name – pure joy – inspiration, and serenity. Metta is an ancient Pali word (the language of the Buddha) meaning loving kindness, friendliness, goodwill towards all beings. Metta is the guiding principle for all the Metta Family projects including Alegría. As Alegría becomes self-sufficient and sustainable, its revenues will begin to fund our humanitarian projects in Nepal. 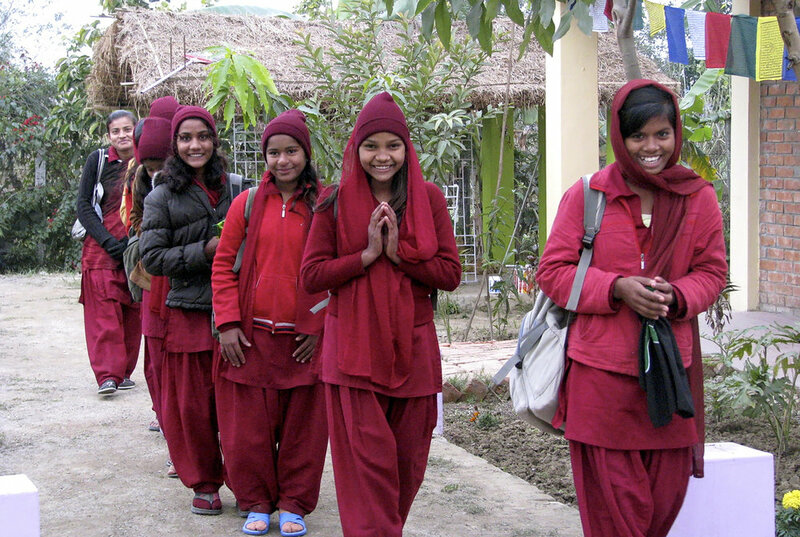 The Lumbini Social Service Foundation (LSSF) pioneers schools in rural areas where children would otherwise have no hope of obtaining an education. To break the perpetual cycles of poverty, malnutrition, and discrimination, it also focuses on girls’ and women’s education and empowerment through its girls’ school and women’s liberation center, Karuna Girls School. LSSF also manages a crane sanctuary and environmental conservation project. Finally, LSSF will soon pioneer a comprehensive rural health system to serve 1.6+ million Nepalese with little or no access to medical services, including a hospital and a nursing school. Alegría and all who visit will be supporters and members of this greater Metta family and its compassionate work in the birthplace of the Buddha.